It’s one of the stand-out phone in the history of handset disasters – announced five years ago this month the BlackBerry Z10 was a catastrophic failure that very nearly killed its maker. Sitting squarely on the downward slope of BlackBerry’s status of a darling of the technology industry to a company that people are surprised is still in business, the Z10 and companion Q10 deserve to be looked at once more. A brief history lesson – BlackBerry was called Research in Motion (RIM) when it was founded in 1984. During the 1980s and early 1990s, RIM explored markets in communications and point-of-sale devices. In the later 1990s, RIM diversified into two-way pagers which led to the BlackBerry 850 in 1999, followed by email-enabled smartphones such as the BlackBerry 6230 in the early 2000s. What started out life as a product appealing to large corporations ended up – somewhat by chance – as being an enormous consumer hit, fuelled in part by devices such as the BlackBerry Pearl smartphone. 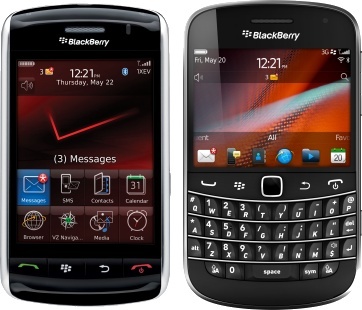 Even the launch of the iPhone in 2007 couldn’t stop RIM’s growth, and in 2011 it had sales of an astonishing $19.9 billion, compared to just $595 million in 2004. But although BlackBerry devices were always superlative when it came to email, they were pretty terrible when it came to other things – especially web browsing. 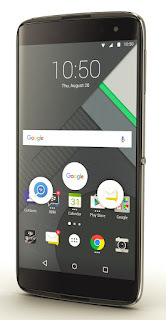 As the impact of iOS and Android smartphones began to change the way people used the web, the clunky interface of BlackBerry devices was off-putting. Sure, BlackBerry had tried to improve things but by 2011 had pushed their old platform as far as it could go with the BlackBerry Bold Touch 9900. But too many elements of the operating system were unchanged from the 6230 nearly a decade earlier. RIM had tried an all-touch device as early as 2008 with the BlackBerry Storm 9500 which turned out to be catastrophically awful and very buggy. Despite RIM’s best efforts to put lipstick on a pig, consumers could still tell that it was a pig. RIM had been aware that their products were becoming increasingly uncompetitive and by 2010 they embarked on a project to adapt the Unix-like QNX operating system into a mobile OS good enough to fight back against Apple and Google. QNX was designed to be a real-time operating system, and had (and indeed still has) a reputation for stability and reliability – and best of all as far as RIM were concerned, they already owned QNX. The first QNX-based product to be announced was the BlackBerry Playbook. Despite initial promise, the Playbook was deeply flawed and full of bugs. Customers stayed away in their droves, but it did at least show that QNX had the right potential. BlackBerry continued to work in turning QNX into the BlackBerry 10 operating system that their next-generation phones would need, but it took over two years after the launch of the Playbook to finally announce their new BlackBerry Z10 and Q10 smartphones, which they did in January 2013. To put this in context – the original Apple iPhone had been launched six years previously in January 2007 (a line that had progressed all the way to the iPhone 5) and Android devices had been selling in increasingly large numbers for four years. RIM (who changed their name at this point to BlackBerry) were very, very late entrants into this market, and the Z10 and Q10 would need to be something special. 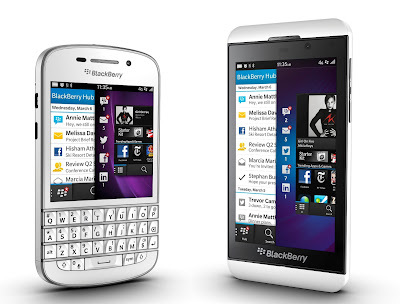 Although both products were announced at the same time, the Z10 and Q10 would not ship at the same time. 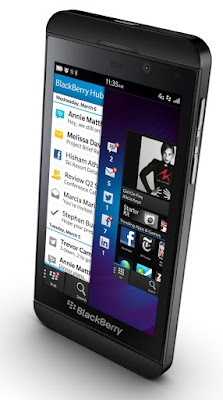 The Z10 was a conventional-looking touchscreen smartphone with a decent hardware specification. The Q10 on the other hand was much more BlackBerry-like with a QWERTY keyboard, but it still featured a touchscreen and the new BlackBerry 10 operating system. BlackBerry 10 was a radical departure from most smartphone operating systems when it came to the user interface. Lacking any button the whole things was based on a series of different swipes (rather like the modern iPhone X). It was a steep learning curve for BlackBerry users, and it wasn’t a surprise to find out that it had some serious bugs at launch. There were also only a small number of native applications for it, which was hardly going to tempt people away from other platforms. 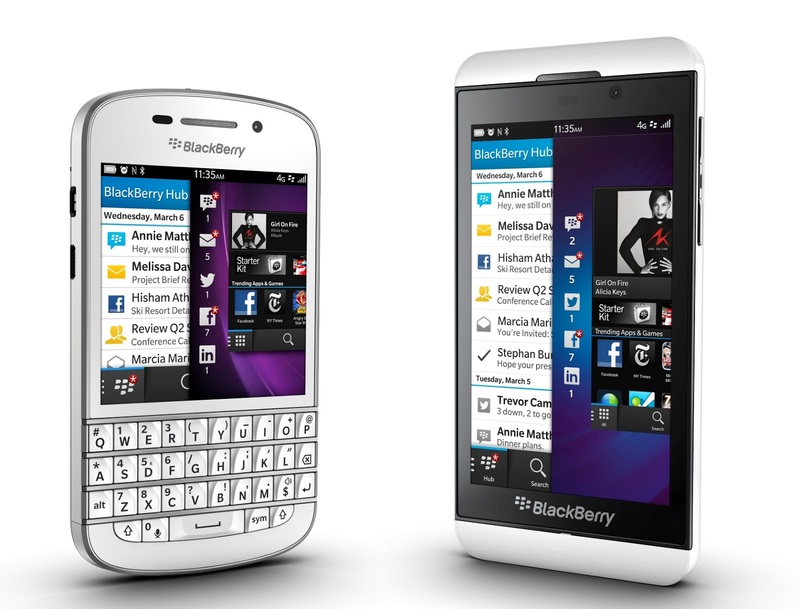 The fact that the Z10 was released months before the Q10 was the result of huge infighting at RIM, with management divided over whether to launch the all-screen one first, or the one with a more traditional design. This process reportedly pushed back the launch of either device by a full year. And history pretty much proved that the Z10 was the wrong decision, because BlackBerry customers who wanted something like that had long ago defected to rivals, and the Z10 failed to appeal to traditionalists who wanted a physical QWERTY keyboard. The Z10 bombed. It didn’t appeal to either existing or new customers, and it turns out that BlackBerry had built a lot of them in order to meet demand that never materialised, leading to a billion-dollar write off of inventory. Sales continued to collapse, losses began to mount and the stock price cratered. Senior management were thrown out, to be replaced by managers who would also eventually be thrown out. Most industry observers agreed that BlackBerry was doomed. It didn't help when BlackBerry "brand ambassador" Alicia Keys was caught Tweeting from her Apple device either. Lost among this was the Q10 which now had become toxic because of the failure of the Z10. Customers were buying phones from BlackBerry, but they were just the Curves and Bolds that they had been buying for years. BlackBerry seemed doomed, but its enormous cash pile and a stubbornness to die means that it is still is business today, but with a very different business model. Handset production is licensed to TCL who base current BlackBerry devices on designs they sell under the Alcatel brand (oddly enough, licensed from Nokia) and who also bought the Palm brand from HP. Current BlackBerry devices run Android with a BlackBerry software stack on top… which is probably what BlackBerry should have done all along. Had either the Z10 or Q10 hit the market three or four years earlier then they might have made the impact that BlackBerry needed. In the end, they were so late to the party that there was really no point in turning up at all. Z10s are currently widely available for less than €100, and BlackBerry are committed to supporting the handset until 2020 and the software these days is *much* better (and you can load Android apps). The Q10 is a bit cheaper. If you like collecting heroic failures, then perhaps either (or both) devices are for you. If you really want more of the Z10 and Q10, here are a pair of videos we prepared much earlier..